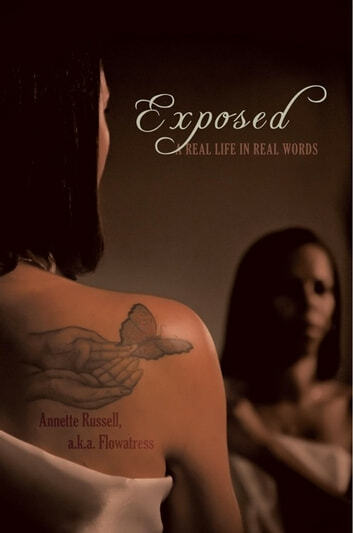 Exposed: A Real Life in Real Words began as a small project for author Annette Russells family and friends, but it became a collection of poems telling her life story. She wants them to know where she is in life and who she is; she wants them to understand her. She chronicles her ups and downs in her walk with God, and she explores her feelings and her personal experiences. She describes how she strayed in her walk with God; she felt lost and alone, and the farther she strayed, the more she wrote. Her collection took on a life of its own, and the words began to set her free. The poems began to heal her by allowing her to see thingsburied things, painful things, everything! Exposed is a blunt and heartfelt collection of poems that invites you into the heart and mind of a woman trying to find her way in life. Untitled Hes here, I know hes here hes everywhere. He sees, I know he sees he sees everything. He hears me, I know he hears me he hears everyone. He knows what I need, I know he does he knows everything. Hes in control, but I think that I am! He loves me but I dont always believe that. Hes using me but I cant perceive that. Hes working on me but I dont deserve that. Hes waiting for me but I cant find my way back. Hes in control, but I think that I am!